For Next Year: the Perfect Valentine’s Gift? I’m just wondering: for how many people does this postcard (which arrived today, three days after Valentine’s Day) evoke the true spirit of Love and Romance? I’ve been trying to extract the hidden meaning, to get at the root of the message, to sink my teeth into a good interpretation, but I’m left with an achy feeling drilling into my core. 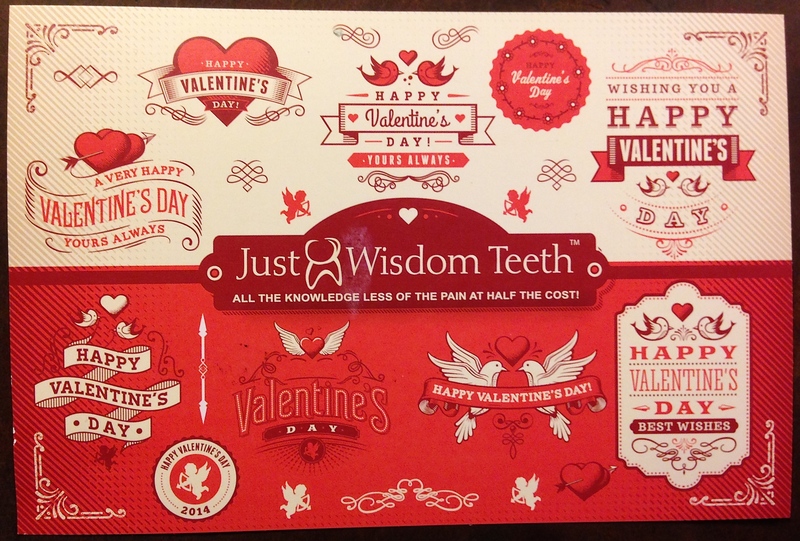 This entry was posted in Humour, Letters, Style and tagged communication, connection, contradiction, letters, mail, Ruth Feiertag, Valentine's day, wisdom teeth.